Wales is famed for its oral traditions of storytelling, poetry, and singing. The bard's presence is ever near in the land of the Dragon, with a folk story or legend in every town. It seems that every river, every mountain, and lake has it's own tale to tell. From fair maidens to brave warriors, the lore of this land is rich and plentiful. As are its monsters. Legends of gwibers terrorising the locals can be found north and south of this Celtic country, but what exactly are they? This folk tale from North Wales is of a brave lad out to test his luck against one such monster. Would he defy a prophecy and become a hero? Whatever the outcome, Owain ap Gruffydd shall be remembered throughout the march of time. Long ago, a terrible monster called a gwiber dwelt in Wybrnant valley near Penmachno in North Wales. Described as a giant snake, this worm could live in both water and land. It cleared the river of fish, and gorged itself on livestock. The locals had tried to chase the monster off, but instead of fleeing, the huge snake would turn on them instead. The villagers knew that this could not continue. The great adder must be killed, and so a reward was offered to anyone who was able to slay the monster. News travelled far and wide, up and down Wales, until a brave young man named Owain ap Gruffydd learned of the plight of the inhabitants of Wybrnant. Owain lived in the Hiraethog Mountains, and before he ventured forth on his quest, decided to visit the local seer to help guide his actions. He travelled to Rhys Ddewin’s abode and introduced himself, before asking if he would succeed in killing the Wybrnant monster. Bold Owain was shaken by this prediction, but the reward was a vast amount of money, and so he decided to visit the seer again. The next day he visited Rhys Ddewin, disguising himself with a hood. Speaking with a gruff voice, he asked again if he would succeed in killing the Wybrnant monster. Now Owain begun to suspect that Rhys Ddewin was full of nonsense when he heard this prediction. So the next day he visited the wise man one last time, disguising himself as a shepherd. He asked once more if he would succeed in his task. Owain laughed out loud and took off his hat and cape, revealing his true identity to Rhys Ddewin. “We shall see…” muttered Rhys Ddewin as Owain ap Gruffydd marched out of the seer’s cottage. Convinced that the predictions were false, he took his spear and bow and set off down from the mountains to the Wybrnant valley. 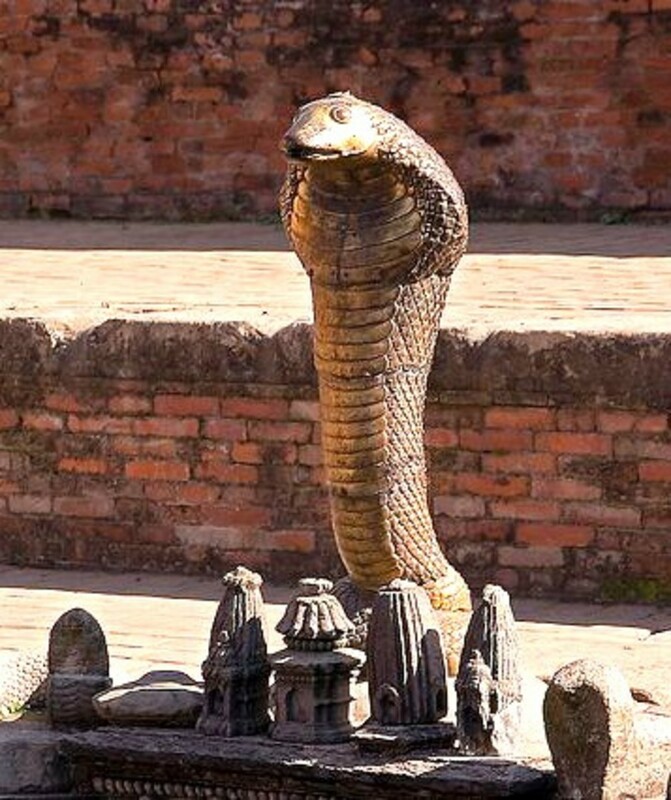 Boldly following the river to the great serpent’s lair, he did not see the snake curled up on the rocks above a waterfall until it was too late. The worm struck, biting him on the shoulder. 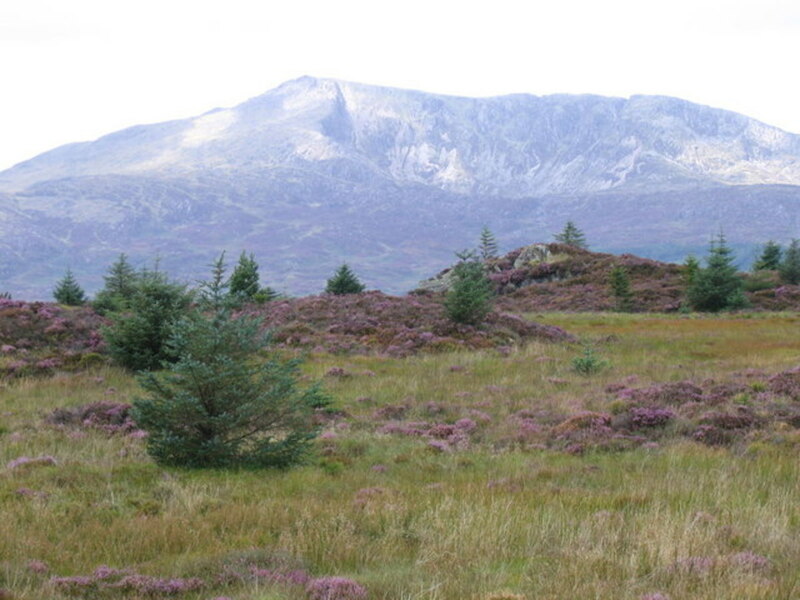 Owain slipped on the rocks and broke his neck, before tumbling into the water and drowning. 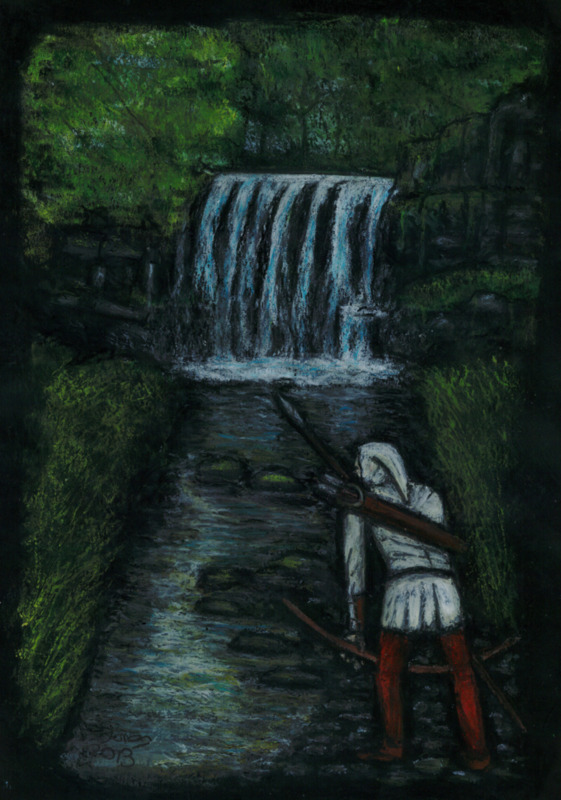 When Owain’s friends learned of his doom, they vowed to kill the monster and travelled to the valley where they shot at it with their bows and arrows. This was too much for the Wybrnant serpent, and wounded, it slipped into the water, never to be seen again. It is not known whether the giant snake survived, but the valley still bears its name. 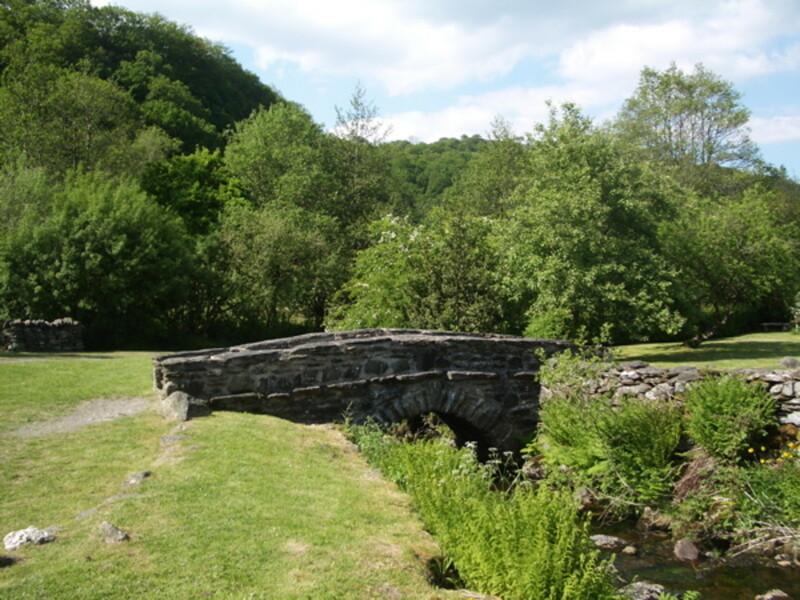 "Afon Wybrnant" is thought to derive from "Gwibernant", meaning "Gwiber's Stream". Its children, the adders, are still known as “gwiber” to the Welsh. Perhaps if left alone long enough, one might grow as large as the monster that killed Owain ap Gruffydd. The adder (vipera berus) is known in Britain by two names; an adder (Welsh, neidr) and a viper (Welsh, gwiber). This snake is mildly venomous, but it's bites are seldom fatal. It's poison is said to be comparable to a bee's sting. The snake is a shy creature, and is only generally known to strike if it is startled or upset by bumbling humans or inquisitive dogs. The word gwiber these days, is more commonly known as a name for this native snake, but it used to be a far deadlier creature. The gwiber is described in mythology, as being a great winged serpent that shares some similarities with the worm and wyvern. This monster features more frequently in Welsh mythology than the famed dragon, especially in Glamorgan, South Wales . In some depictions, the monster is shown with legs. In others it is shown as without. Some stories, such as the one featured in this article, don't mention wings at all. 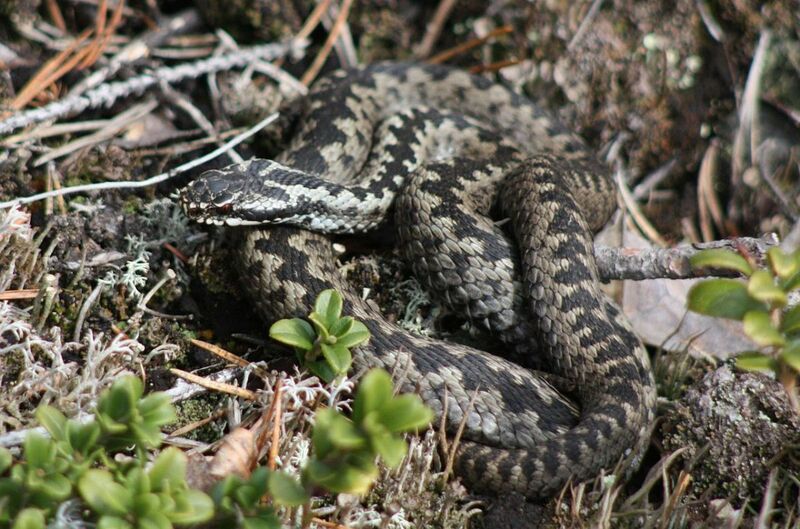 The story from Penmachno suggests that the gwiber is a greater adder, parent to the smaller snakes that thrive in the region. All gwibers are venomous, but unlike their children the adders, their bites are always fatal. Gwibers enjoyed nothing more than milk, and it seems that this is a theme for trouble in most stories featuring the monster. Livestock are easily troubled; introduce a giant flying snake, and you're asking for disaster. It always seemed to be the local shepherd or farm-hand that was sent out to put a stop to the serpents, and the outcome was not always good for the would-be hero. A very beautiful and interesting story. I've been doing my family history recently and have traced some to Wales and I love not only finding out it's history but it's lore as well. Great artwork as well. Thanks heidithorne, I do try to do a lot of my own illustrations. It is by no means "fine art", but I enjoy doing them and it adds something unique I suppose!! I love to write about myths and folklore; pretty much all of my hubs feature this theme somewhere. Dannie Arcus, thank you so much for the kind feedback. Love that you included your artwork in the hub! Beautiful! And I'm a sucker for these myths and legends hubs. Voted up and beautiful! Thanks Colleen, I am glad you liked this article! Wonderful article, enjoyable and captivating as anything about snakes is for me.